Coach, have you ever come back from lunch, checked your email, fiddled around on the web, and realized that two or three hours had just slipped away from you? Every day, so many coaches engage themselves in activities that are not relevant to their goals, recruiting, or their vision for their program. These coaches waste an enormous amount of time every day and they aren’t even aware that they are doing it. Brian Tracy, motivational speaker and best-selling author, says most people can waste up to one and a half hours per day because of time-management mistakes. That’s seven and a half hours per week… almost an entire work day! It’s not a solid block of an hour and a half, but a minute here and a minute there, like a leaky hot water faucet…drip, drip, drip…it doesn’t seem like a major loss, but at the end the day, we’re dumping gallons of hot water down the drain. The simple truth is that if you could just avoid or properly manage the following list of time-wasters and energy-killers better, you would be free to accomplish your goals and grow your program in profound ways. 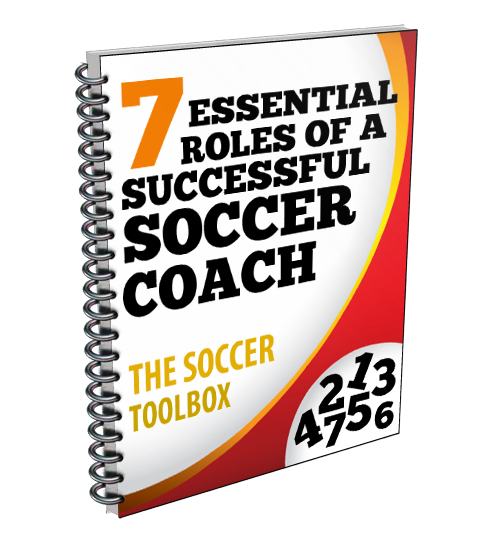 One of the services we here at Busy Coach offer when I go and do an on-campus workshop for coaches is to go through an eleven-point check on how they go about managing their time and identify any mistakes they may be making in terms of their approach. It’s usually pretty revealing, and I am almost always able to identify mistakes that are being made by a coach in managing his or her day. Finding the time-wasters is the first step in determining how a coach can do his or her job better, and it is key in determining how we need to work with that individual coach or program. There are two really big time wasters I will talk about here but obviously there are a ton more. Each one has the potential to really eat your time and heighten your stress levels. Even if you’re doing O.K. with one of the two areas I’m going to talk about, that one area you’re failing at can short-circuit your entire day. Every coach likes to think they’re great at multi-tasking, and some of them actually are. But there’s a limit to how many things you can do at once without taking away from the quality of your work, plus it almost always greatly increases the time it takes to finish each project. Experts estimate that the tendency to start and stop a task, to pick it up, put it down and come back to it can increase the time necessary to complete the task by as much as 500%. That means that a task that should take 10 minutes to complete now takes almost an hour. That’s why it is very important to absorb yourself with one thing at a time. Give that task your full attention and complete it before moving on to the next thing. By concentrating single-mindedly on your most important task, you can reduce the time required to complete it by 50% or more. Do your most important task first. Do it until it’s completed. Then, and only then, move on to the next most important task. We have all been in meetings that don’t start on time, seem to have no purpose, and don’t end when they should. Those terrible meetings should tell you something about how your meetings should go. First: Have a purpose and stick only to that purpose. Second: Your meeting should start on time. Third: Your meeting should end on time. To sum up, if you say you are going to have a meeting from 11:30 to 12:00 to discuss the practice for the day, you better start your meeting at 11:30, it better be about the practice for the day and nothing else, and it better be over by 12:00. No matter what sport you coach, time is valuable and work is interconnected. If you fail to start meetings on time or fail to meet commitments, you affect the work of the rest of your staff. Schedule blocks of time for each item to be discussed and then keep track of the time. Always keep commitments, and if you can’t, make sure all affected staff members know what happened. The key point here with both of these time wasters is to Stay FOCUSED – That’s all that really matters. Refuse to let other things distract you from the task at hand and you can triple your productivity in the office. It may be difficult at first but the more you practice it, the easier it will get. Coach your team. When you make the NCAA national tourney, we’ll listen. Been there. Lots of work to do at USD. Please coach your team. Been at USD. You have a challenge to make NCAA,Nationals. Thank you for taking your time to give us a few thoughts to make our time more productive and useful to our players. Back to work.